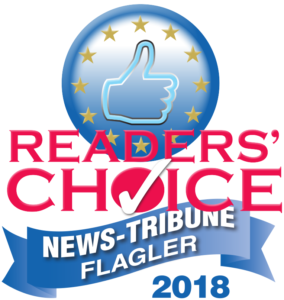 Every year, Daytona Beach News Journal and Flagler News Tribune’s Best Around & Readers’ Choice Awards offer the chance to those outstanding businesses to be recognized by the community. It takes a lot of hard work and motivation for a business to not only make themselves known in a community, but also to make a lasting impression on their customers and the overall community. 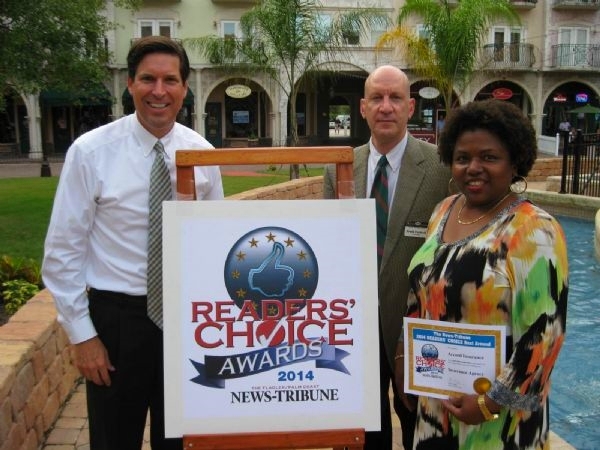 2014 Reader’s Choice Awards were held at European Village in Palm Coast, recognizing nearly 200 businesses as winners in their respective categories. Interestingly, European Village itself won the best live entertainment venue in Palm Coast and Flagler County. As a one-stop destination for all things dining, shopping, lounging, and entertainment –and with an agressive live music and performance schedule at European Village’s Center-Stage during the Spring, Summer and Fall months certainly this was a well deserved award. Along with European Village’s success, there were six other winners, located within the Village itself, chosen by their respective categories, these businesses include: Blooming Flowers and Gifts, Coastal Mermaid, Farley’s Irish Pub, La Piazza Cafe, Mezzaluna Pizzeria, and The Humidor Cigar Bar and Lounge. Winners were chosen due to the incredible ability they have in serving their customers and leaving an impression. As winners were announced from the stage, smiles ran across the faces of the crowd that came out the night of September 9th to recognize the accomplishment that each of these businesses truly deserve. Congratulations to all those for this outstanding achievement!